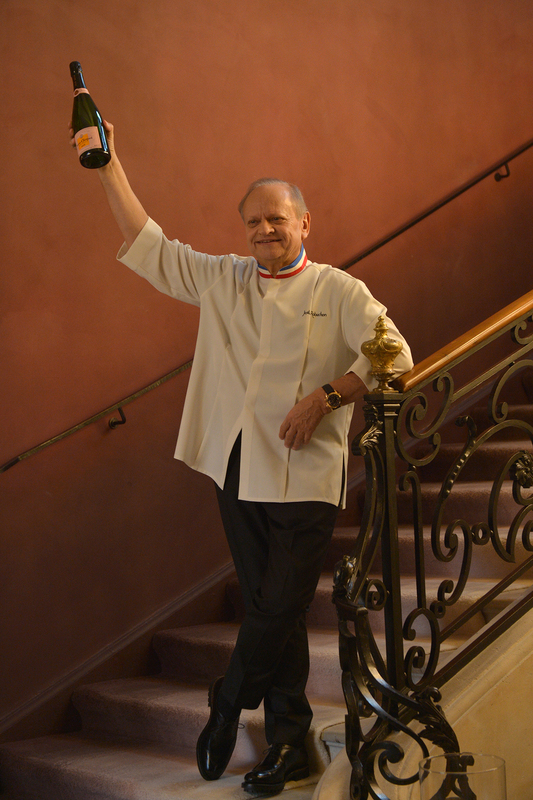 Very sad to hear the news (yesterday) that celebrated chef and restaurateur Joël Robuchon has died after a long battle with cancer. He’s the man whose restaurants have been awarded more Michelin stars than anyone else – they hold 23 round the world currently. 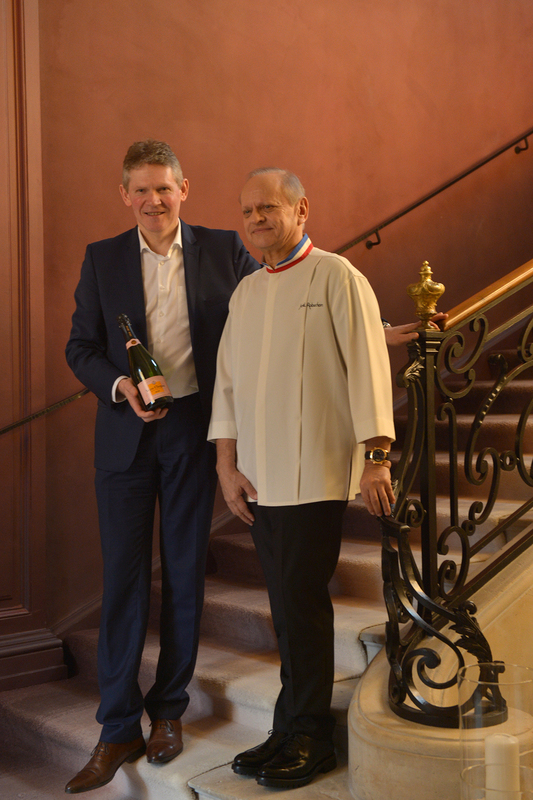 I have been lucky enough to meet him, and eat his sublime food, twice in the past five years, on both occasions at Veuve Clicquot’s ‘Hotel du Marc’ in Reims. The first occasion was in March 2013 where after an extraordinary lunch, I sat with him on the sofa and he modestly talked me through the recipe for arguably his most famous dish, pomme purée truffée (Robuchon lunch produces magical combinations ). 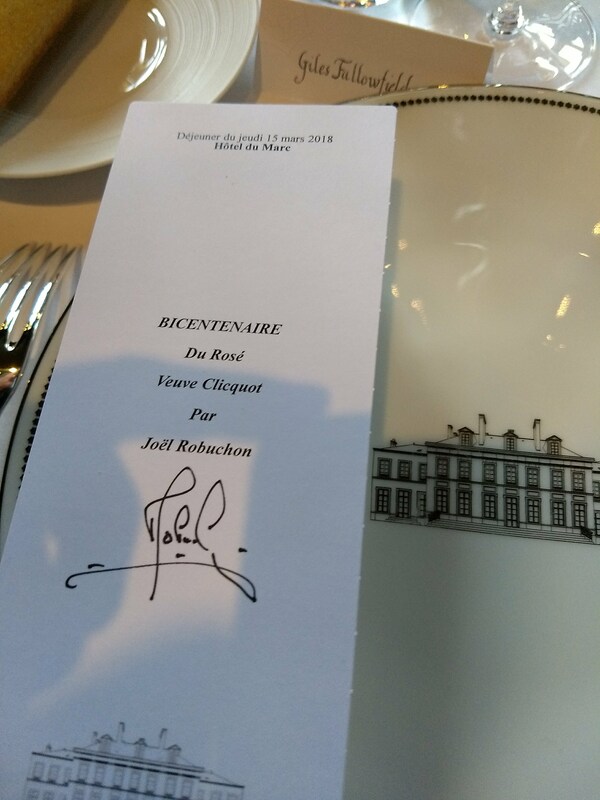 I saw him again in March this year when Veuve Clicquot ran a week-long celebration of rosé to mark the creation of what the house calls “the world’s first blended rosé champagne”. This happened in 1818 when Madame Clicquot broke with the established tradition of using a ‘Teinture de Fismes’ – a preparation of elderberries boiled in cream of tartar – to make pink champagne, instead choosing to blend some Bouzy red wine with her classic white champagne, so initiating the modern method of rosé champagne production. After a morning masterclass at Clicquot’s Hotel du Marc in Reims, with head winemaker Dominique Demarville showing examples of the red wine blending options Clicquot has for non-vintage rosé, vintage rosé and La Grande Dame rosé, we sat down to a lunch specially prepared by Joël Robuchon and his team to match Clicquot wines, including the current La Grande Dame Vintage Rosé 2006. 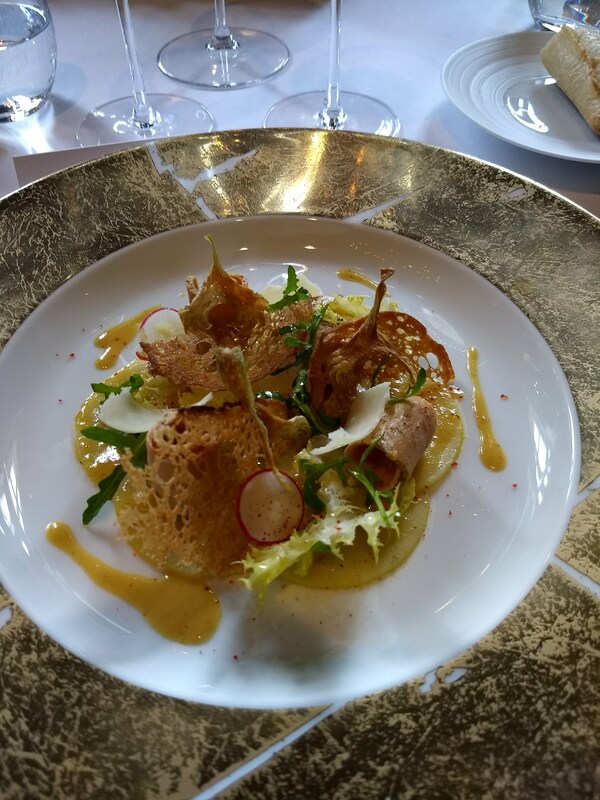 This is a wine of great complexity which evolved gracefully, never disappointing, through a series of Robuchon dishes including an artichoke and foie gras salad, which looked wonderful (see picture) and, unlikely as it sounds, seemed the perfect match for this wine. A dish I will remember for a long time. The man at the stove knows what he is doing. Robuchon’s finishing masterstroke was to marry a simple, but not that simple, blanchette de veau with superb 1955 magnums of Bouzy Rouge which Demarville said came from one of the three best vintages of the 20th century, the other two being ‘47 and ’90. His creative genius will be sadly missed.